Once the schematic designs have been fully developed, and the client is satisfied with how things are progressing, Jacobs Gate & Associates LLC moves on to the next phase, the creation of construction documents. Our experience creating construction documents that are fully representative of our client's wishes has made us a Detroit leader in the field of architecture. Detailed, accurate construction documents save our clients time and money by giving the construction company a clear portrait of what the project is intended to look like. 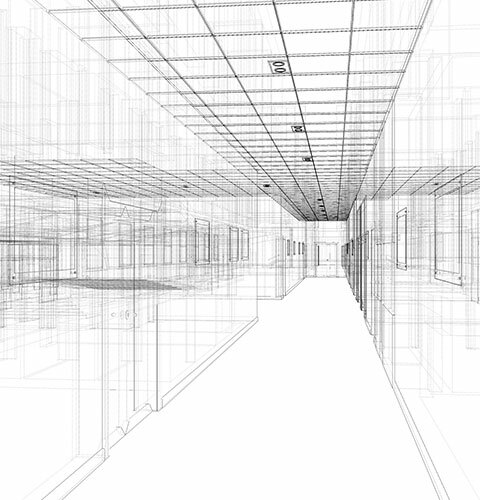 What are Construction Documents and Why Do They Matter? Construction documents are detailed outlines of your new building that cover everything that the construction team needs to know in order to successfully build the structure. These documents are highly detailed and include everything from the materials to be used to the floor plan. In a nutshell, construction documents are the first key piece of information that is passed along to the construction company, and contains essential information that allows them to start putting everything together. These documents are extremely important because of this; they are crucial outlines that builders can use to guide their work. Accuracy is always a significant concern with any documents produced during the design process, but because these documents are interpreted by a company other than Jacobs Gate & Associates LLC, it is particularly important during this phase. We strive to provide work that is within your budget, and we understand that any misrepresentations in the construction documents can lead to a quote that does not match your financial commitment. As a result, we are fully committed to producing the most detailed, accurate construction documents possible. With every step leading up to this, we emphasize the importance of communication, and with construction documents it becomes clearer than ever why this is so essential. What may seem like a small change at this stage actually tends to require massive restructuring, because of how linked everything is. For example, if you want to move a window to another area of the room, what implications does that have for where the pipes will run? Was there something else planned for that section of wall? Client communication is central to our business model, and by touching base throughout the design process we are able to make any necessary changes before passing the project on to your builders. Construction documents that are wholly representative of our client's vision allow building companies to work efficiently to complete a project within the agreed upon timeline. For documents that are to your exact specifications, look no further than the work produced by Jacobs Gate & Associates LLC. With years of experience creating custom building designs for a diverse Detroit clientele, we are here to help bring your vision to life. Get in touch with us today to find out more about our talented team, and to get a quote for your project. All information provided is provided for information purposes only and does not constitute a legal contract between Jacobs Gate & Associates LLC and any person or entity unless otherwise specified. Information is subject to change without prior notice. Although every reasonable effort is made to present current and accurate information, LinkNow!™ Media makes no guarantees of any kind.